Makhane Ki Sabzi is a delicious, easy to prepare fasting recipe. Why is this recipe super perfect for any kind of fast? 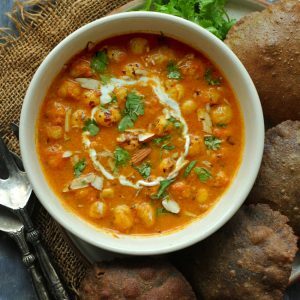 Because it has no onion or garlic and it requires minimal ingredients to prepare and plus, it has our favorite foxnuts aka phool makhana. The phool makhana is one of the most sort after ingredient if you are observing any kind of fast. So why not make a tasty curry out of it that is just excellent to end the fast with some piping hot pooris. Many of you often ask if I observe any kind of fasts. Yes, I do during the nine days of Navratri (twice in a year). Hence, I am always looking for no onion/garlic recipes that are fulfilling and tastes absolutely scrumptious. After all, who says the fasting meal has to be boring and far from delicious. 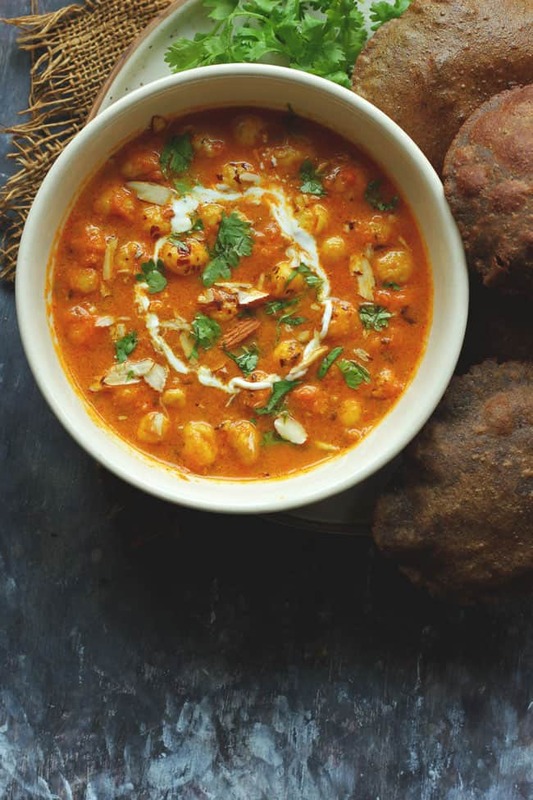 Few of my farali favorites are – Pahadi Aloo Paani, Khatta Meetha Kaddu, and Punjabi Chana Masala. 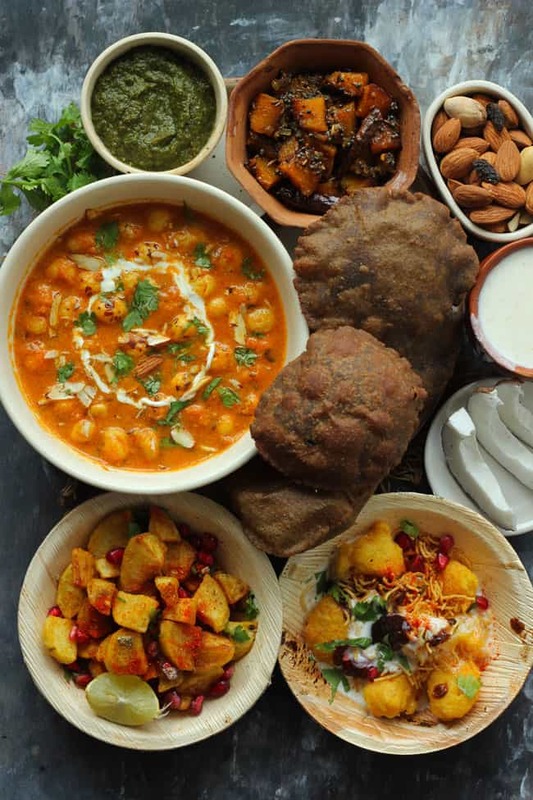 These delicious dishes are one of the few reasons that keep me going for the nine days of Navratri. 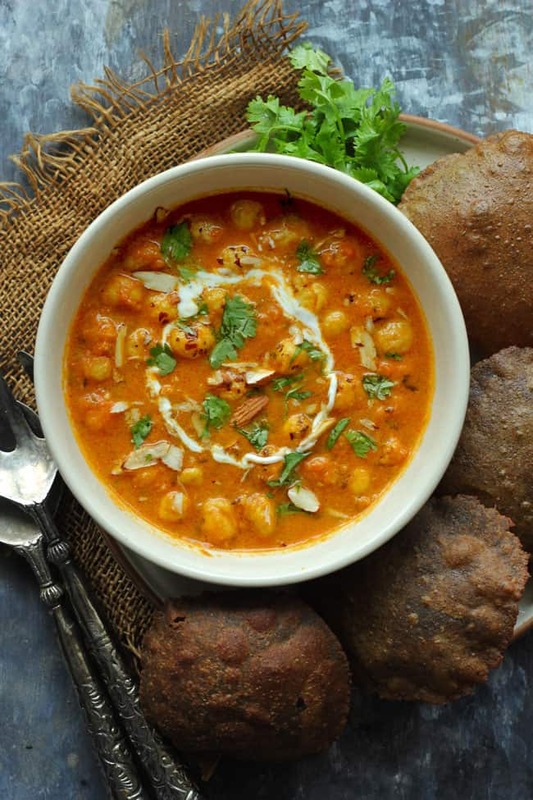 Hope you find these 10 Best Indian Fasting Recipes useful as well. All of these recipes are no onion/garlic sattvic dishes perfect for any Indian festive meal planning. This Makhane Ki Sabzi is a pleasant change from the regular paneer curries. And even if you are not fasting, then also this sabzi can add a great variety to your everyday meal menu. Serve it with poori, raita and a simple side-dish such as Khatta Meetha Kaddu for a wholesome sattvic meal. This is the meal combination that leaves a delicate trail of flavors in the taste buds and at the same time gives you a soul-satisfying kind of experience. Makhane Ki Sabzi is a delicious, easy to prepare fasting recipe. Find how to make farali makhane ki sabzi in few simple steps. Combine chopped tomato, green chili, and ginger. Make a smooth puree in the blender using little water. Heat 2 tablespoons of ghee in a large pan (buy it here). Fry the foxnuts (makhana) until crisp. Keep stirring while roasting. Transfer foxnuts to a plate. Set aside till required. Heat the remaining ghee in the same pan. Add cumin seeds and asafoetida. Cook for a second or so. Next, add the tomato puree and fry the masala over low heat. Cook till the oil starts separating from the masala. Add the spices and again cook for a minute or so. Add the cream and stir to combine nicely. Now add this stage if you like to make little gravy add approximately 1/4 Cup of water. Allow the curry to simmer for 5 minutes to thicken a bit. Add the roasted foxnuts and stir to combine nicely. Cook for 2 – 3 minutes. Turn off the heat. 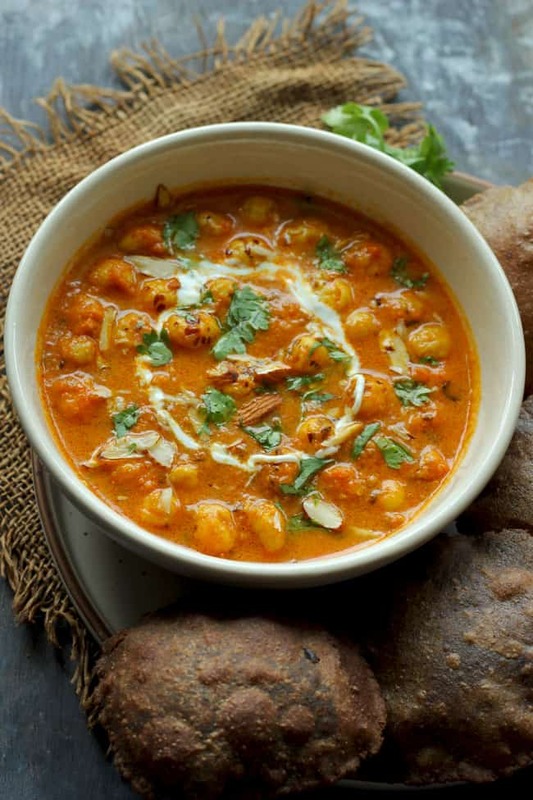 Serve Makhane Ki Sabzi garnished with cream, almonds, and coriander.